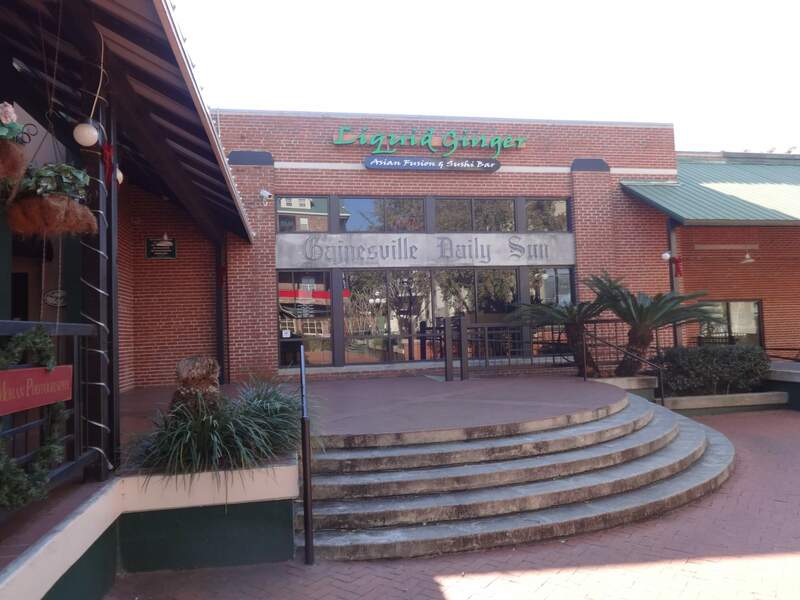 Liquid Ginger has been a part of Downtown Gainesville since opening in November of 2003. Liquid Ginger opened to critical acclaim and has been doing so ever since. We strive to use the best quality ingredients as part of our preparations without over-charging for our prices. We also strive to present our ingredients with novel approaches as we attempt to impart our interpretation of Asian Fusion cuisine. We feature a unique menu that has many renowned house specialties and we also feature a full bar, also with our unique house drinks. Please peruse our Menu page for the latest copies of our menus.Our dining rooms are decorated with warm inviting colors and wood trim, marble tables, and extremely comfortable leather chairs. We have two dining rooms available, with a separate dining room for larger parties. We also have an outdoor patio with our own fountain! We are able to accommodate large parties of up to 30, please contact us for more details.